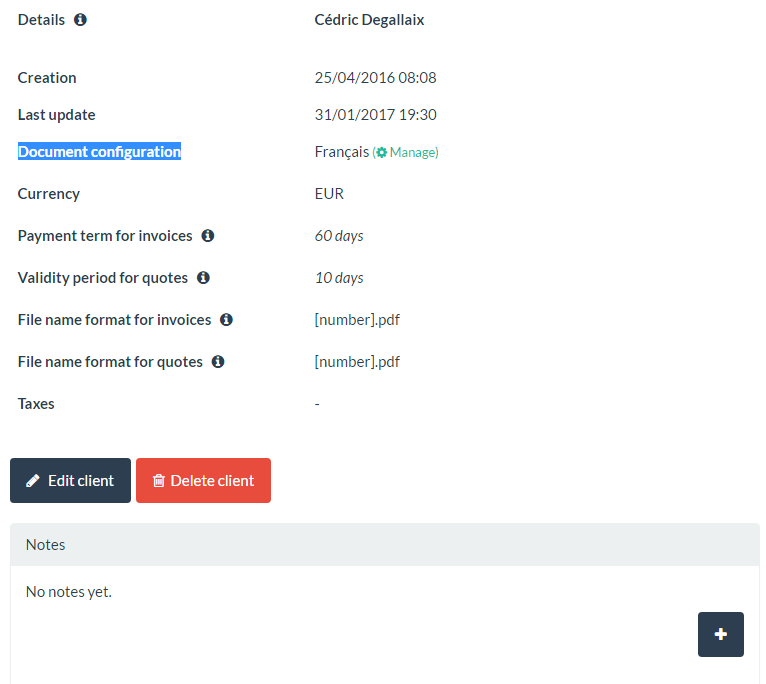 Can I create bilingual invoices in LSP.expert? Yes you can create bilingual documents. 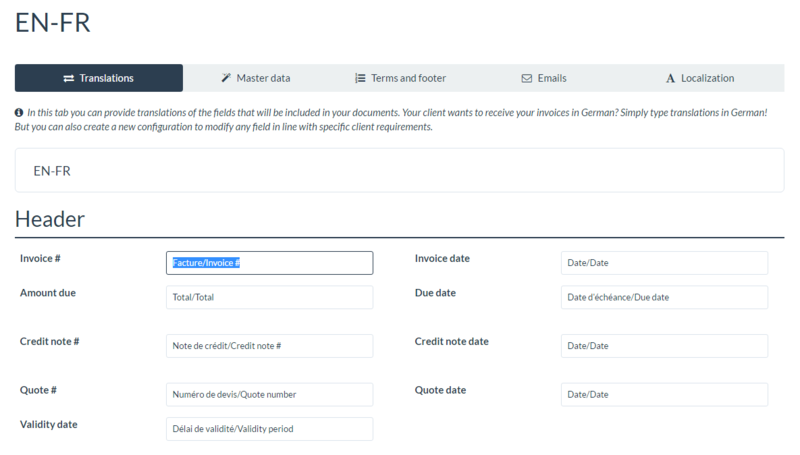 In LSP.expert, you can create documents in any language you want, but you can also create bilingual invoices. For that, you have to create a new document configuration. Go to Settings > Document and email configuration and click on 'Add new document and email configuration'. Once you're in this new configuration, go to the Translations tab and translate all the fields in the two languages of your choice. When it's done, click on Save. Then you have to define the correct document configuration for the client concerned in the Clients tab (by clicking on the 'Edit client' button. That's it. All the invoices you'll create for this client will be bilingual, based on the new document configuration you just created.